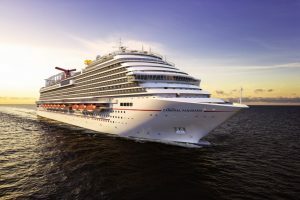 Carnival Cruise Line today began accepting reservations for the 133,500-ton Carnival Panorama, which kicks off its year-round seven-day Mexican Riviera schedule from Long Beach, Calif., Dec. 14, 2019, becoming the first new Carnival ship homeported on the West Coast in 20 years. Prior to the launch of seven-day service, Carnival Panorama will offer a special one-time three-day cruise to Ensenada from Long Beach Dec. 11-14, 2019. Carnival Panorama will offer a three-port, seven-day itinerary from Long Beach, departing every Saturday to stunning destinations along the Mexican Riviera, including Cabo San Lucas, Mazatlán and Puerto Vallarta. During these cruises, guests can relax on world-class beaches, visit centuries-old historical sites, and enjoy unforgettable dining and shopping opportunities and exciting experiences ashore. “Carnival Panorama promises to be a spectacular addition to our fleet and we’re delighted to provide our guests with an opportunity to be among the first to sail on our first new ship on the West Coast in two decades,” said Christine Duffy, president of Carnival Cruise Line. Voyages will depart from the newly refurbished Long Beach Cruise Terminal, housed in a massive 146,000-square-foot geodesic dome that once housed Howard Hughes’ Spruce Goose airplane. The expanded facility offers a streamlined embarkation and debarkation process along with stunning design elements that pay homage to the Golden State, including a mural of the Sierra Nevada mountains and replicas of the Spruce Goose. Currently under construction at the Fincantieri shipyard in Marghera, Italy, Carnival Panorama will offer groundbreaking attractions like a bike-ride-in-the-sky attraction called SkyRide, a massive WaterWorks aqua park, and the SportSquare open-air recreation area, along with a vibrant Havana section with tropics-inspired staterooms and its own Cuban-themed bar and pool, Family Harbor featuring extra-roomy accommodations and the luxurious Cloud 9 Spa. Like its name implies, Carnival Panorama will also offer both indoor and al fresco food and beverage concepts, including the Fahrenheit 555 steakhouse, Library Bar, and Bonsai Sushi. Additional innovations unique to this vessel will be announced at a later date.